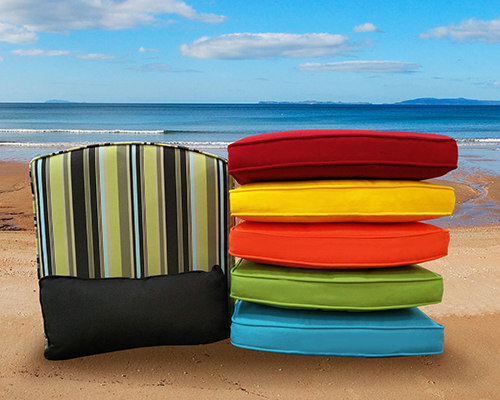 This "bermuda" outdoor dining seat cushion is made of olefin fabric and is sure to complement your patio's decor while adding comfort. DOT Furniture's Chair 6 cushion is made to fit most cast aluminum dining chairs. Please check measurements before purchasing any seat cushion.